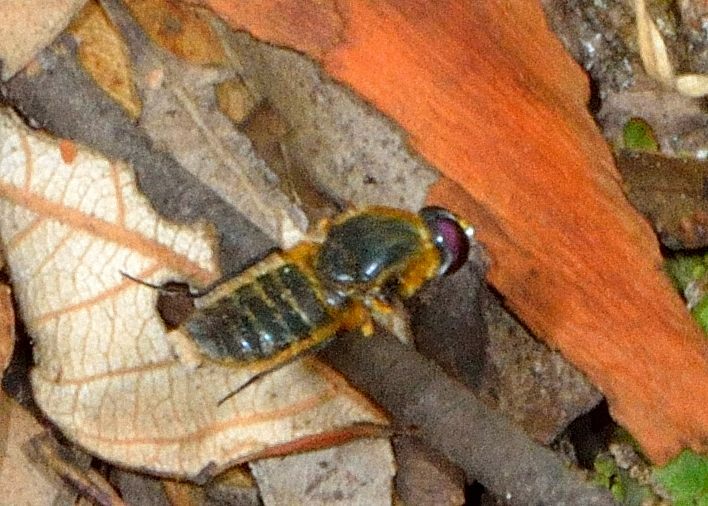 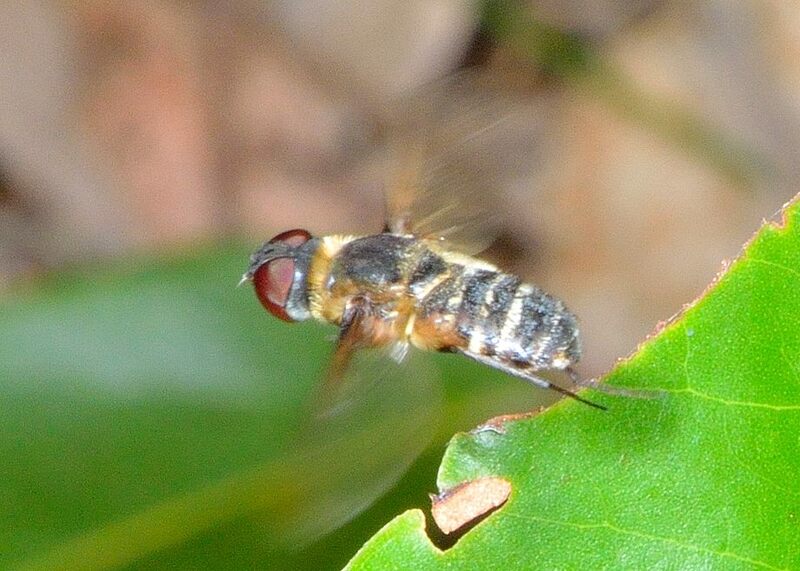 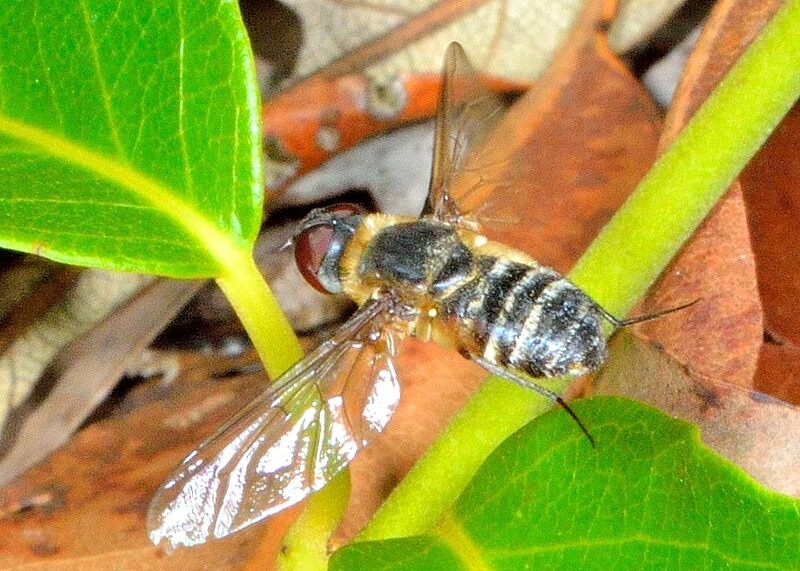 This page contains pictures and information about Clear-wing Brown Bee Flies in Subfamily Lomatiinae that we found in the Brisbane area, Queensland, Australia. 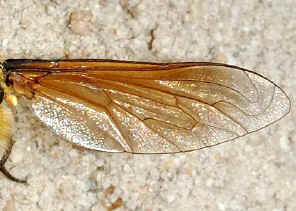 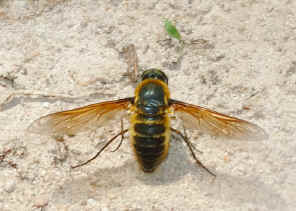 They are usually found resting on the sandy footpath. 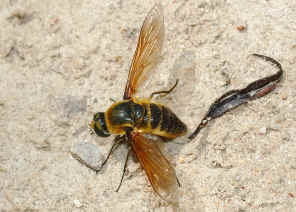 Some are laying eggs with end tip of abdomen inserted into the soil. 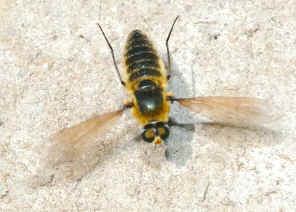 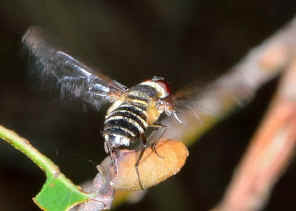 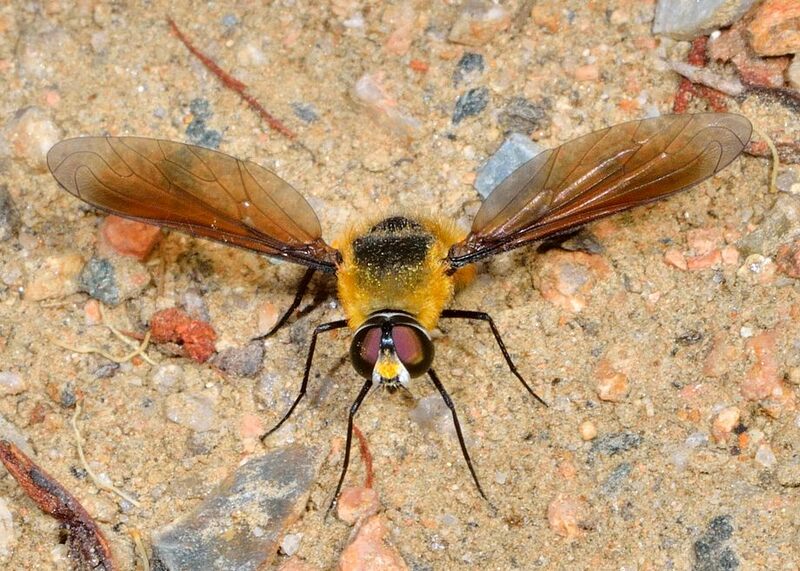 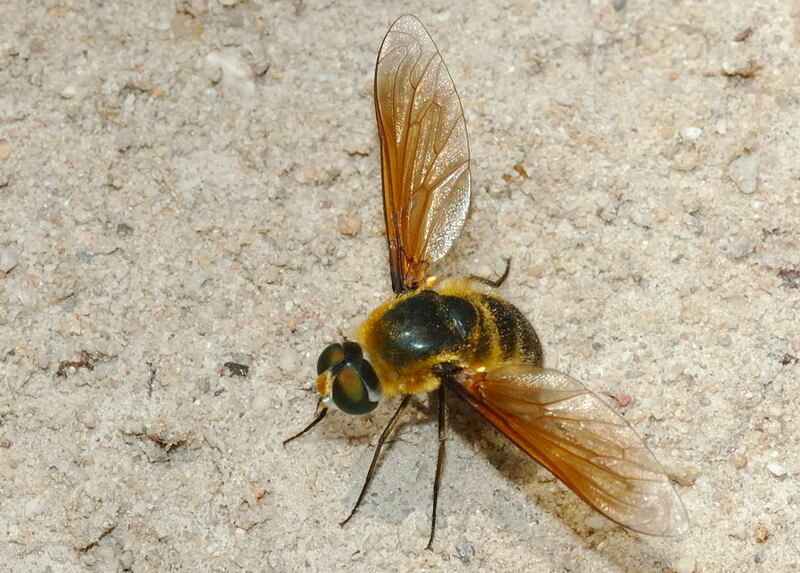 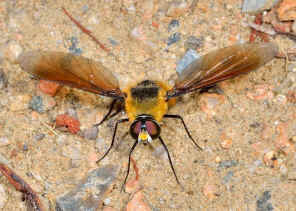 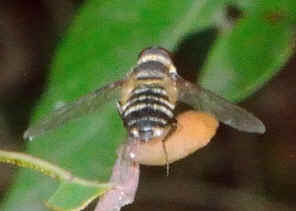 This Bee Fly was usually found laying eggs in soil during mid summer in Karawatha Forest. They are quite common there. 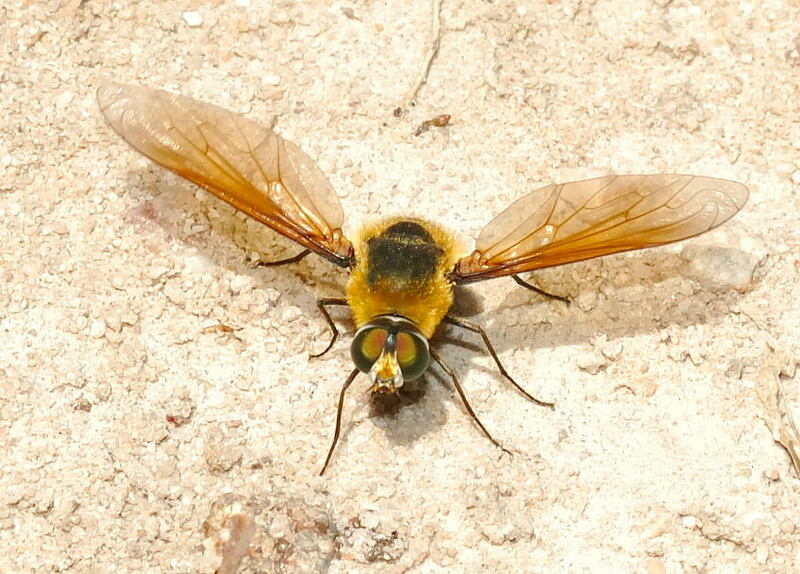 Last updated: May 01, 2013.